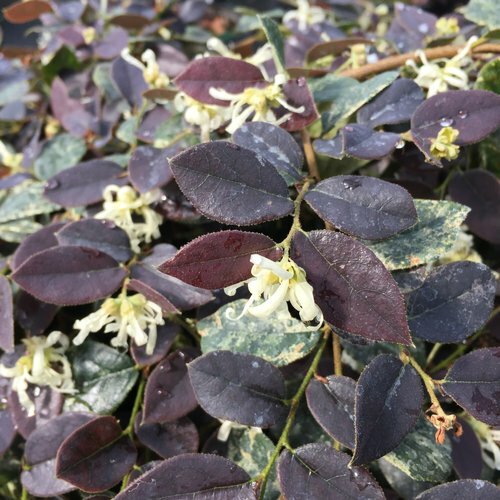 Standing out is exactly what Jazz Hands Night Moves® loropetalum was designed to do. 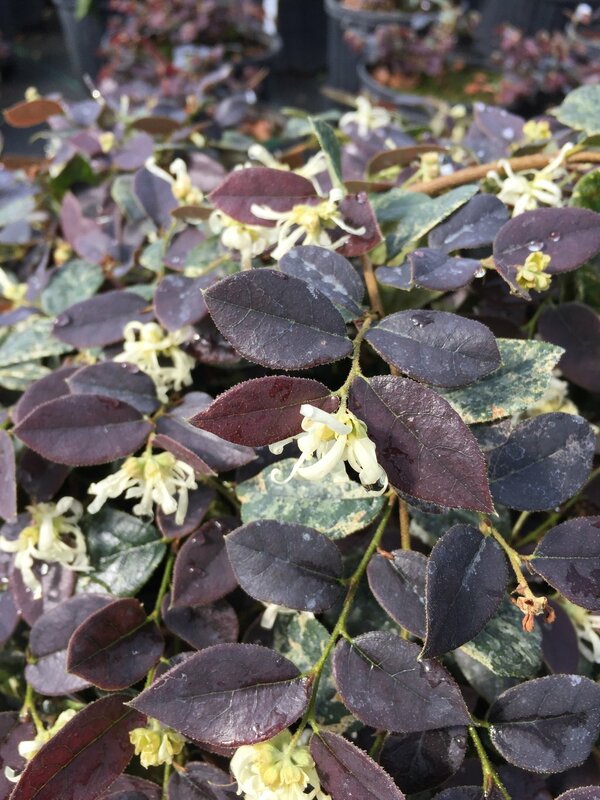 This medium-sized loropetalum greets spring with deep plum foliage and pure white flowers, a rarely seen combination. 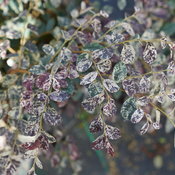 As the season progresses, new growth develops an unusual variegation of white, deep green, and purple. 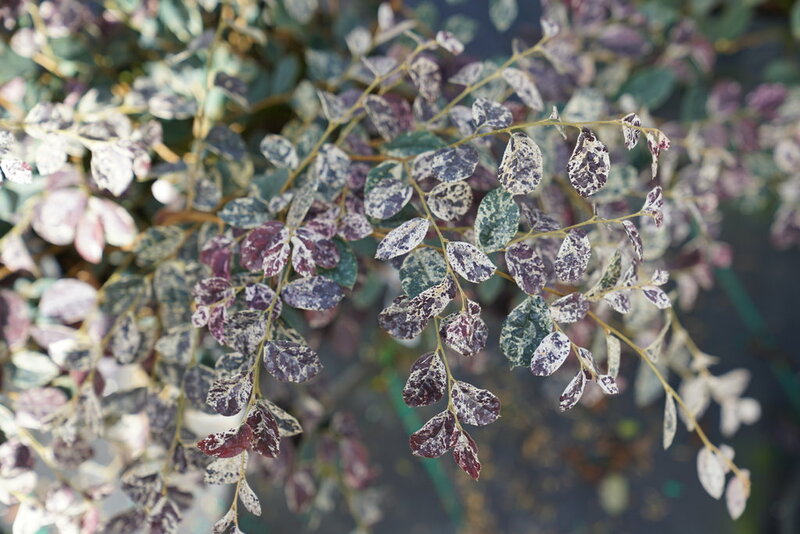 Its unusual color and long-lasting display makes it an ideal choice for pairing with evergreens in the landscape. Available in better garden centers in spring 2019. 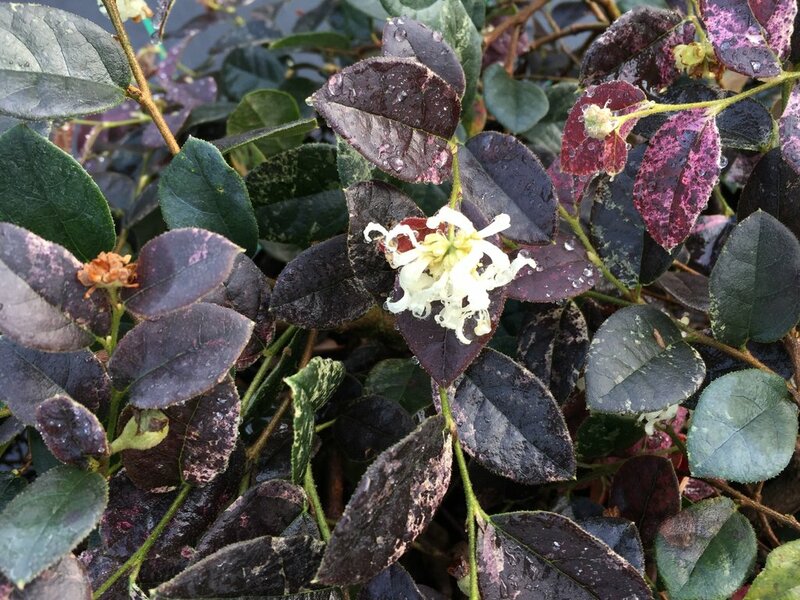 - In spring, white flowers and purple foliage make a unique combination. 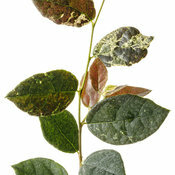 - The foliage develops unusual variegation of green, white, and purple. 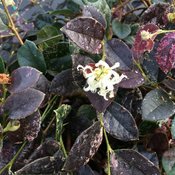 - Semi-dwarf habit gives it lots of versatility in the landscape. 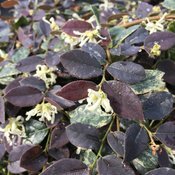 Semi-dwarf habit and graceful, arching stems make this plant ideally suited to edging beds or planting at the feet of evergreens for some color and interest. 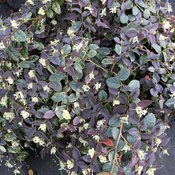 Makes a nice seasonal color plant in containers in cold climates. 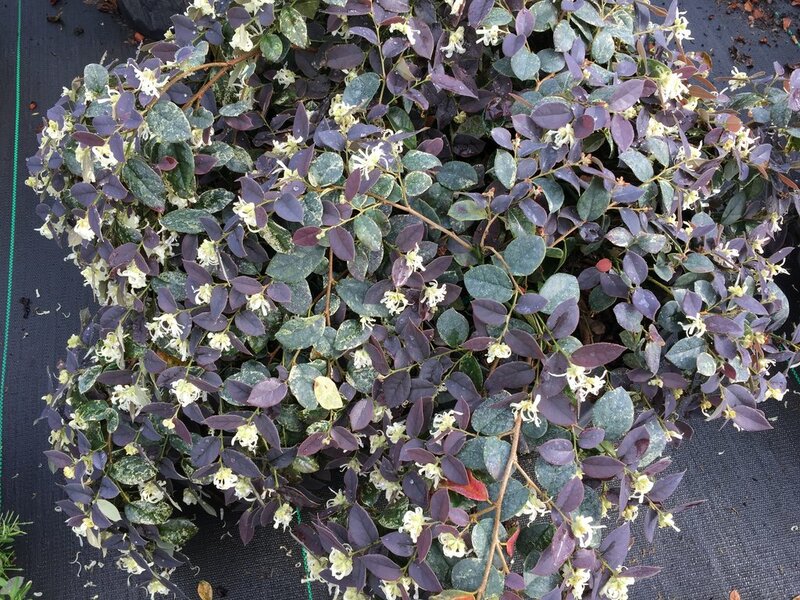 It's best to avoid regular trimming of Jazz Hands Night Moves loropetalum, as doing so could remove flower buds and delay the development of the variegated foliage. 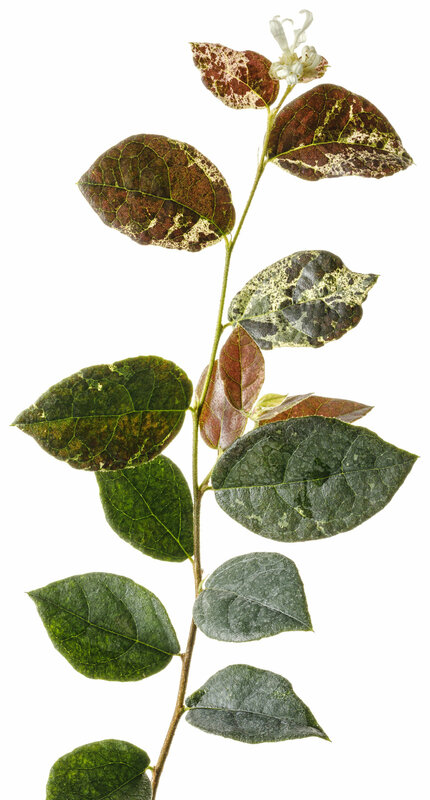 Can take full sun or part shade, but a minimum of four hours of good sun is recommended for the best leaf color and most flowers to develop. We named this series "Jazz Hands" because each flower looks like the classic dance and choral move.